A new luxury spa destination has opened in Paris, where guests can be exfoliated with a Chardonnay body scrub, massaged with Champagne oil, and opt for a facial that features gold, caviar and Champagne. [post_ads]The Four Seasons Hotel George V, located not far from the tony Champs-Elysées, opened the doors to its new "Le Spa" space Monday, featuring a new 17-meter (55-foot) mosaic-lined swimming pool, spa, fitness room and luxury hammams. Spa treatments are performed in one of five single treatment rooms, where they can request an Alaena organic certified, anti-aging treatment, or a traditional Kobido Japanese facelift, the oldest facial tradition in Japan which dates back to 1472 which was reserved exclusively for Japanese nobility. 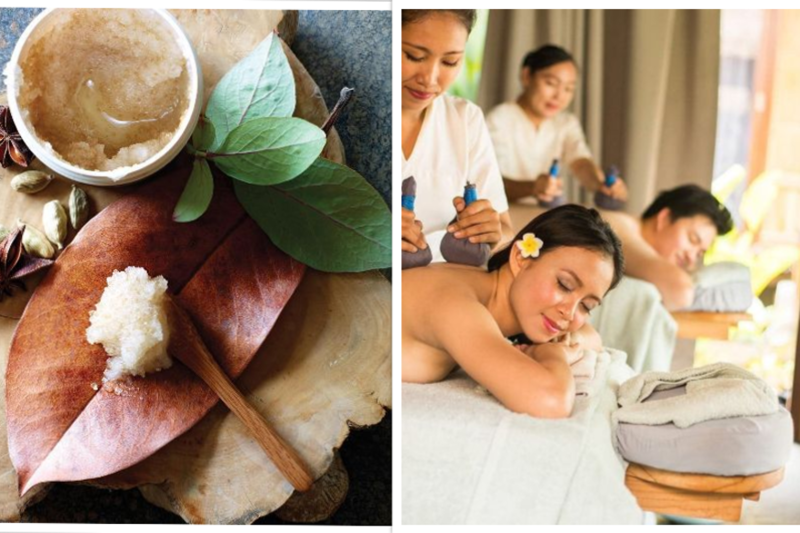 For the ultimate spa experience, however, there's the George V Escape, an antioxidant treatment in which guests get a scrub down with a Chardonnay body scrub; are massaged with Champagne oil; and undergo a facial that harnesses the antioxidant powers of gold, Chardonnay and green caviar. Before heading out to their Michelin-starred meal, guests can also get a cut or a blowout at the in-hotel hair salon. The pool area, meanwhile, was designed to evoke ancient Greek, Roman and Turkish baths with its mosaic tile patterns, which are offset by modern art pieces and floral compositions designed by one of the world's most famous florists, Jeff Leatham. The spa was designed by Pierre-Yves Rochon.